Its the start of 2018 and here at Peckish we are off with a Bang!! WE have been fortunate enough to secure a pitch at one of the biggest festivals of 2018 in our great capital city. Lumiere London is the festival of light, now celebrating its 2nd year in London. At iconic venues such as Kings Cross and Mayfair, the city gets transformed into a city of light! Last year having attracted over 3 million visitors and having been commissioned by the Mayor of London himself this year hopes to see an increase of numbers from the previous year. 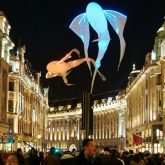 Displaying fantastic artwork that is not only limited to the display of lights but includes sounds and stories, Lumiere London is sure to light up the sky. As a free event, we would recommend anyone in the capital to go visit the festival any evening between the 18th-21st. At this years Lumiere London 2018 Peckish will once again be representing Essex with some of the finest gourmet street food. We will be catering for the public with our famous pulled meat wraps, to include culinary delights such as pulled pork in a southern comfort and lime glazed BBQ sauce. 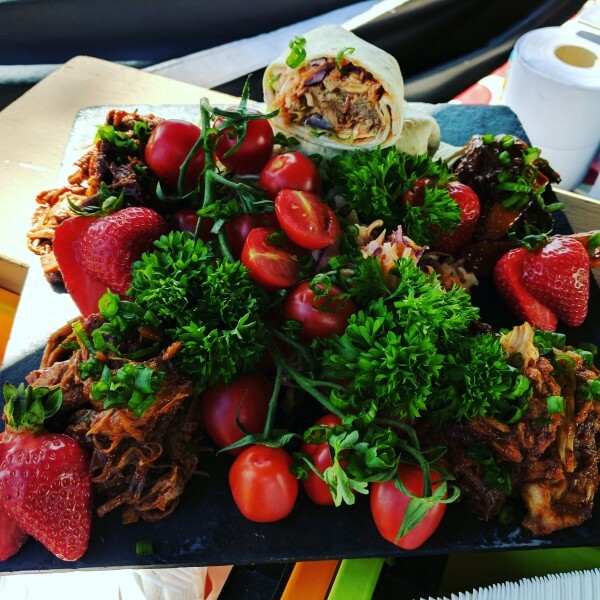 If you’re planning to visit and fancy a true winter warmer why not try our Texan pulled brisket in our newly invented smoked chipotle and chilli jam infused BBQ sauce. Not forgetting our vegetarian or vegan friends we have our Cajun roasted sweet potatoes with wild mushrooms and roasted med veg in a Cajun spiced hilly billy BBQ sauce. As always gluten free rolls are available. 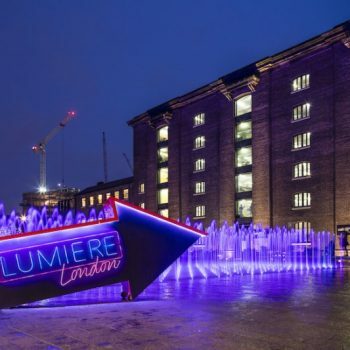 We hope you are excited as much as we are and if you are unsure as to what exactly Lumiere London is then spare 30 seconds to watch the video below! Showcasing some of the best light artwork in London.